For the best Dunsborough Phone Fix, contact FixBox Phone Repairs in Dunsborough. We use the highest quality parts available to ensure that your phone leaves our FixBox repair shop in the best condition possible. Our technicians are highly experience and can handle any Dunsborough Phone fix situation. Our customers enjoy the fastest turnarounds, cheapest prices and use the highest quality parts available. We offer guarantees on all our workmanship to give you peace of mind. 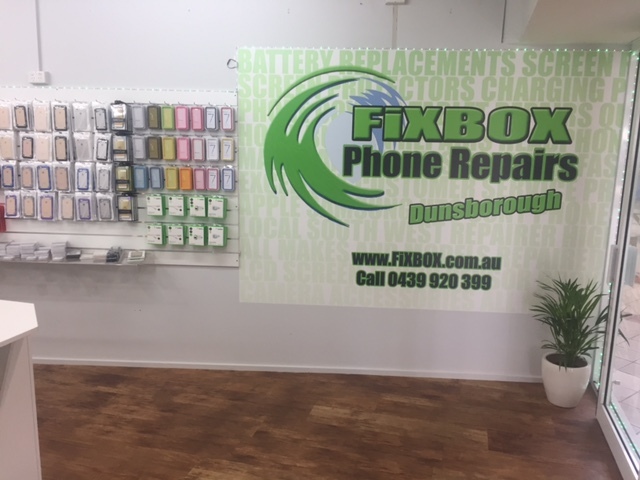 FixBox Phone Repairs in Dunsborough strive to provide the best prices for Dunsborough residents and visitors alike. That’s why we buy in bulk and pass on the savings at every opportunity. We know other Dunsborough Phone Fix providers have been charging an arm and a leg for phone repairs, so we look to beat them on price at every opportunity. If you’ve been quoted an exorbitant price for a Dunsborough Phone Fix, then come and speak to us. We’re located at 9A/42 Dunn Bay Road in Dunsborough’s Naturaliste Forum. If you’ve received a better price from a south west repair store then we’ll beat it! We have the most experienced mobile device repair technicians in the south west. Our technicians have all the right skills, advice and knowledge to solve any of your Dunsborough Phone Fix and mobile device problems. FixBox Phone Repairs is only a short drive from the centre of Busselton. Combined with our cheap prices and speedy turnaround, a Dunsborough Phone Fix with FixBox Phone Repairs is an easy way to go. We provide full Eftpos and credit card facilities, all delivered with a friendly smile and top quality service. Email us at help@fixbox.com.au or call us on 0439920399 to receive a free quote or mobile tech advice. We’re always looking forward to assisting residents and visitors to the south west region with our knowledge and experience. Alternatively, just drop in to one of our handy locations in either Margaret River or Dunsborough.